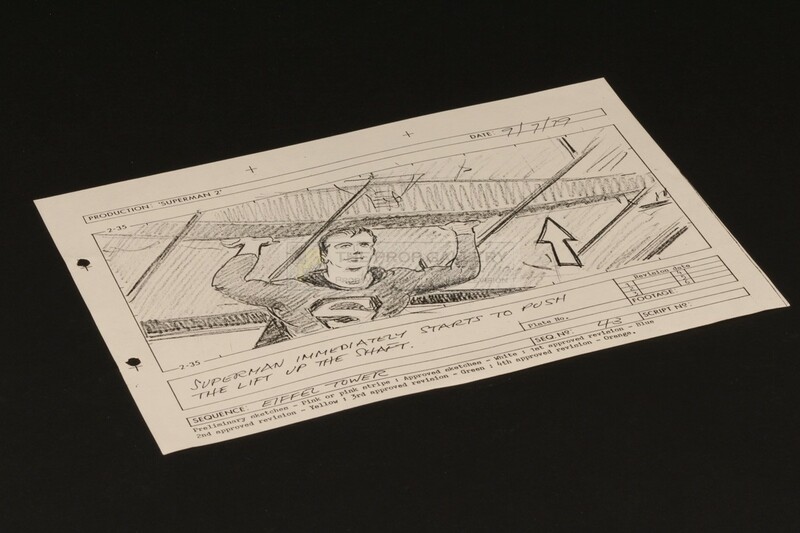 An original storyboard binder used in the production of Superman II, the 1980 superhero sequel starring Christopher Reeve in the title role. 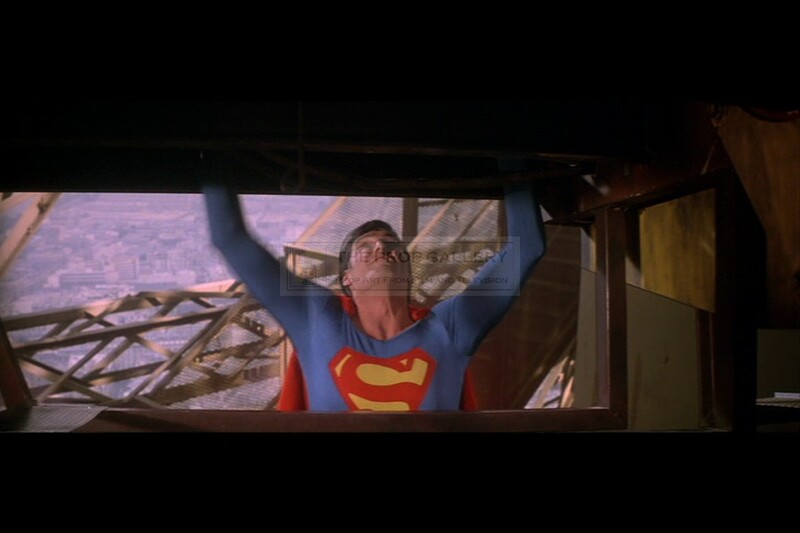 This is an original production used storyboard copy taken from the original rendering which depicts Superman (Christopher Reeve) pushing the lift up the shaft during the memorable Eiffel Tower sequence. 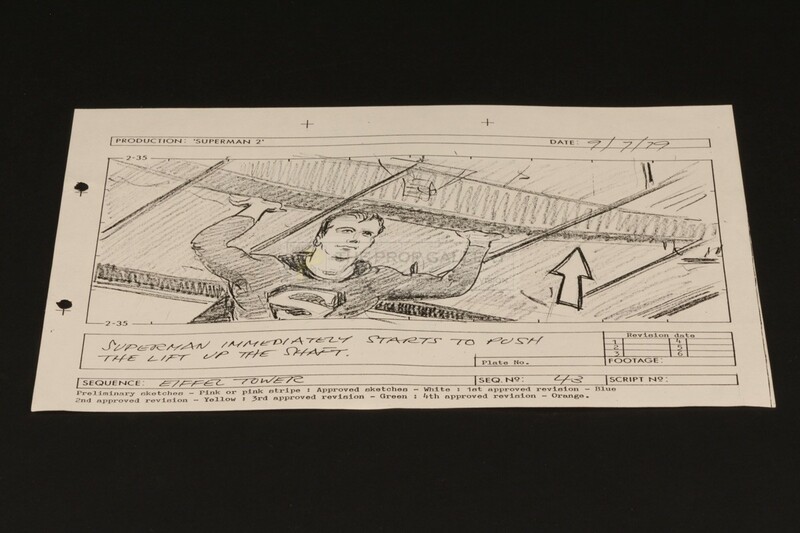 The storyboard is headed with the name of the production 'SUPERMAN 2' and the date 9/7/79, its features an image of Superman in the lift shaft with a description of the action below and the name of the sequence and number. The storyboard is A4 in size and remains in near perfect production used condition with only very minor edge toning, exceptionally fine. A displayable example of original production material from this well regarded picture which remains an influential favourite of the superhero genre.